A 1995 episode of The Simpsons, ‘Lisa’s Wedding’, was set in 2010 and depicted a futuristic world where a video phone was used in place of a normal phone. 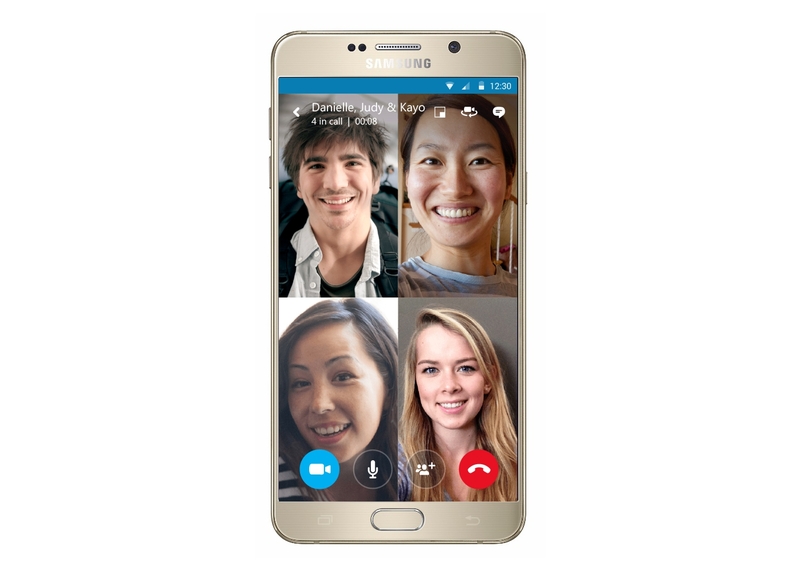 Several years later, video calls have not completely replaced normal voice calls, but the two do exist alongside each other. Jason Downes, MD of Powwownow, says that although video chat is "ideal for instruction-based or a presentational style of meeting", it can "suffer from lag and as such does not always lend itself to a conversational approach." According to a survey of 1000 workers by TeamViewer, 25 percent of workers have been unable to work remotely successfully due to bad quality video and telephone conference software. Expense and inflexibility have also been issues in adoption, according to Anne Marie Ginn, Senior Category Manager at Logitech Video Collaboration, Collaboration in EMEA Logitech. Some video collaboration hardware has only been compatible with dedicated-in-room systems, which are expensive infrastructures that have to be managed by the IT department, she says. These problems have been despite many employees citing benefits of video calls and seeing considerable potential for it. 59 percent of workers agree that video-based communication will replace voice, according to a Fuze survey. Other surveys show that most business leaders agree that video conferencing is a useful enabler of remote working. The obvious advantage of video conferencing over voice is the access it provides to people’s facial expressions and body language: non-verbal cues, which modern scientists view as highly important to communication. It is this advantage, above all, which the Cystic Fibrosis Trust has seen when deploying a Skype for Business solution to allow its staff to communicate. The Trust employs a number of sufferers of the disease. People with the life-shortening degenerative condition cannot meet as they could pass potentially deadly bugs to each other. In 2014, the charity undertook a project which would focus on making the organisation more agile and streamlined as well as facilitating better communications with regional staff. "We were basically using conference facilities and star phones and things like that. It was not ideal for a charity that needs very much to think of people working remotely," says Darren O’Keefe, Public Affairs Manager at the Cystic Fibrosis Trust. He says that that structure did not encourage the kind of collaborative meetings that the charity needed. "People would feel quite alienated by the facilities because it was just disembodied voices," says O’Keefe. "Skype for Business allows us to all see each other while we’re talking. So much of communication is based on facial expressions and other things apart from just the words coming out of your mouth," he says. O’Keefe says that his team feel that people know they are there and are more willing to contribute to the discussions, where previously they might have logged onto the cool, listened and simply stayed quiet. "Previously they felt quite shy because they couldn’t see who was on the call. It’s as close to being in the room with us as they could hope. My team feel much more included in the conversation and have more courage to have input." The solution conveys another benefit formerly reserved for people in a single room: the ability to share documents during a meeting. A recent application of the technology was in a digital workshop for cystic fibrosis sufferers providing them with an introduction to Parliament in order to help them engage better with the political process. The initiative used Microsoft Skype for Business to allow individuals from the cystic fibrosis community from Glasgow to London who signed up to take part in the virtual experience. O’Keefe plans to use the technology increasingly in future campaigning. "It’s going to be integral, hopefully, to my campaigning moving forward. Absolutely core to what I do are people with CF. "If I want to get MPs to help me pressure the government I have to be able to link arguments to the MPs’ constituents, otherwise the MPs aren’t really interested." In other words, across charities, this kind of technology could connect the sufferers of debilitating illnesses with the decision-makers whose choices control their lives, and allow them to make their case directly. "This way I can give people with CF the confidence to make contact with MPs and establish a relationship. People with other conditions can turn up in person and lobby in person; we have to do it virtually." More broadly, he thinks that the event reveals how much video conferencing can bring to education. "You could project any kind of education through this virtual means. It could help anybody who needs to learn, from children studying through to elderly people needing to learn how to use the internet."